Sts. 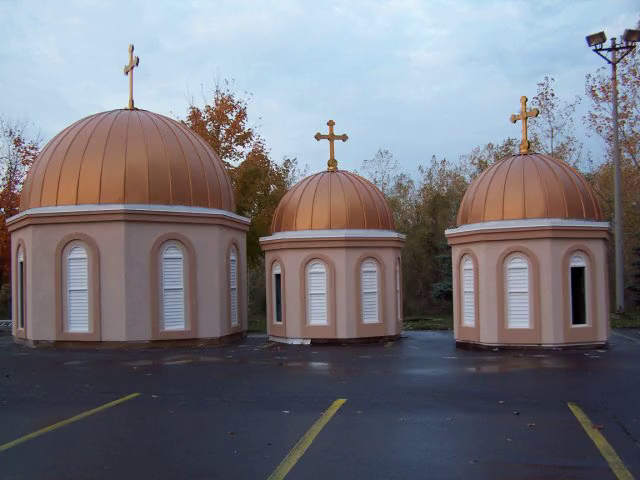 Kiril (Cyril) and Methody is a Macedonian Orthodox Church in Blasdell, New York, located in one of the first ring suburbs of the City of Buffalo. 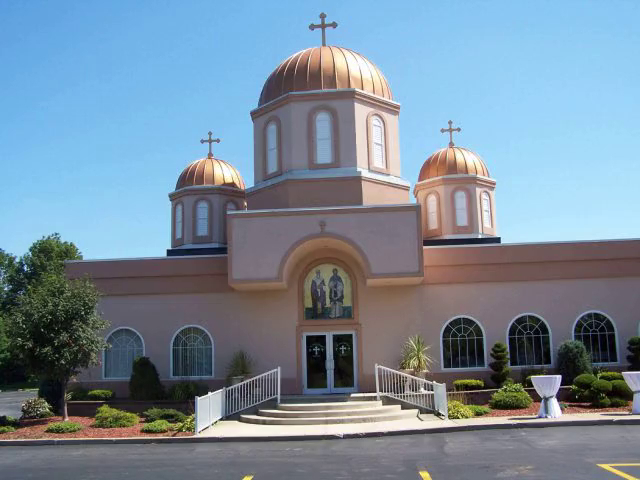 The church serves a community of approximately 4,000 ethnic Macedonians within the Western New York region as well as portions of Western Pennsylvania (shared by the St. Nicholas Parish in Green, OH) and border communities in southern Ontario, Canada (Fort Erie and surrounding areas). Sts. Cyril and Methody also serves as an open place of worship for other Eastern Orthodox practitioners and ethnic groups. 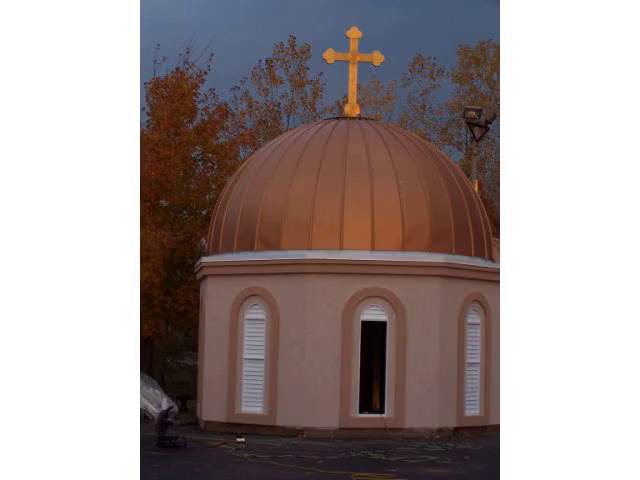 It hosts the longest running Macedonian Orthodox Church festival in North America, started in 1991, and is typically held during the second or third weekend of July. The Macedonian community in the greater Buffalo region dates back to the early 1900s, when young men from Macedonia sought work in the Americas, mainly in industrial centers such as Buffalo and surrounding communities. Western New York had rapidly become the industrial and technological center of the United States and the world (the Silicon Valley of its day), largely resulting from the community's electrification. Buffalo was the first city in the world to be electrified due to its proximity to the hydroelectric facilities at Niagara Falls and the scientific discoveries of Nicola Tesla, the electrical genius who invented and perfected the efficient transmission and use of electric energy. This new energy source promoted the development of massive new industries in steel and aluminum, chemical, electrical, milling, and transportation etc., it demanded unprecedented needs for unskilled labor and ample opportunities for those willing to work. As these men settled in the area, some began to send for their wives and extended family members. Subsequent waves of immigration and worker migrations grew the community slightly, but never substantially, as many of the men had left their families behind in Macedonia and would repeatedly return home as their lives changed or their working careers ebbed. The community was close knit, expanding and contracting in relation to the availability of work, however, unrepresented by any formal Macedonian religious organization. Therefore, many Macedonians frequented other local ethnic Orthodox houses of worship, such as the Serbian, Russian and Croatian churches. While no Macedonian church existed, the community did form a Macedonian Mutual Aid Society called Prespa, in honor of the region many of these men hailed from. The organization’s mission was to help fellow Macedonians in need. The society was funded by voluntary contributions and helped many individuals overcome financial and personal difficulties as they worked and lived in the area. Subsequent to WWI, the community grew organically and individuals evolved from simply being unskilled day laborers to becoming salon keepers, restaurant owners, grocery store owners, shop keepers, boarding house keeper etc., serving the growing multiethnic industrial labor force in the area. It is estimated that prior to WWII, there were approximately 150 or more individuals of Macedonian descent in the region, with many having established permanent residency, families and US citizenship. Some of them served in the US armed forces during WWII. In the early 1950s to the late 1960s, the community experienced an influx of people prompted by the exodus of Macedonians seeking refuge from Communist Yugoslavia and the Greek government’s persecution of ethnic Aegean Macedonians. Many escaped with the hope of attaining a better life in the west, no matter where - Europe, America, Canada, or Australia. Some of them initially settled in Sweden, Norway, Denmark, France, Germany etc., for up to a decade before coming to the United States. In a few cases, they had acquired technical skills while living in Western Europe, which proved to be valuable in the local industrial labor market. A great number of them found employment in the massive local steel and transportation industries such as Bethlehem Steel in neighboring Lackawanna, Republic Steel and Hanna Furnace in Buffalo, and Ford Motor Company in Hamburg etc. 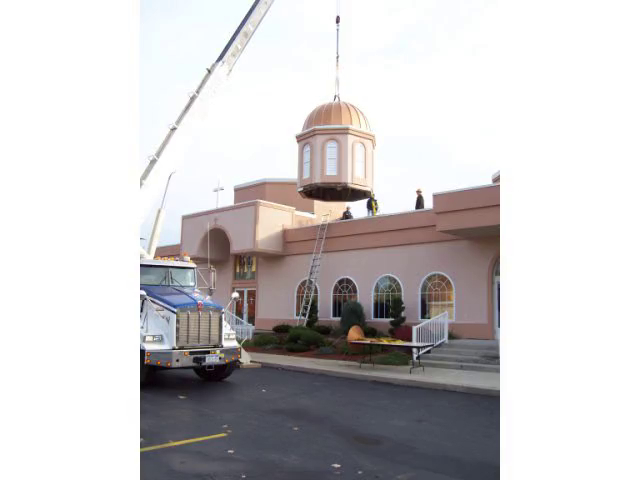 The community wholeheartedly supported this initiative and by 1969, it believed it had amassed sufficient capital, through personal loans, donations, and fund raisers, to purchase land and begin construction of a place of worship. However, it was agreed that the construction would be phased and a community hall would be built first, to be followed by a church when additional funding became available. The hall was completed in 1971 and served both as a place of worship and as community center for all Macedonian social activities until 1975. With the blessings and consecration of his holiness, Bishop Kiril of the Macedonian Orthodox Church (Bishop of the United States and Canada) and the assignment of a new parish priest, Fr. Jovan Boseovski,, on July 7, 1975 the Buffalo community celebrated the dedication of Sts. Kiril (Cyril) and Methody Macedonian American Orthodox Church in Blasdell, New York. A multi-generational desire for a Macedonian home was finally fulfilled. As the community has grown over the years, so have the needs for improved facilities and services. In 2001 major renovations were undertaken to expand and update the existing church hall including the addition of a new commercial kitchen, additional meeting rooms and facilities. 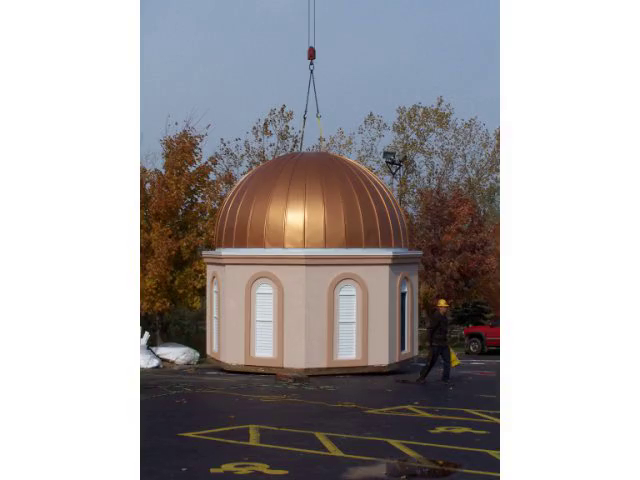 Further renovations and updates continue to occur in an effort to enhance the overall complex, such as the addition of bronze cupolas (Church & Hall) as well as the construction of a new the exterior building, which greatly improves festival operations and other event needs. Sts. Cyril and Methody’s annual Macedonian festival is the longest running ethnic festival (1991) of its kind in the United States. It is a three day weekend extravaganza held during the 2nd or 3rd weekend of July on the spacious church grounds and attracts in excess of 4,000 guests from all ethnicities from the greater bi-national region. The festival features big top tents, Macedonian cultural exhibits, foods, desserts and libations. Further adding to the overall cultural experience is Oro (circle) dancing, games and live entertainment, which include Macedonian bands and dance groups from Toronto, Canada and other Macedonian communities. Often it becomes the annual family gathering for some families that are now separated geographically. Fundamentally, it is a delightful family focused occasion that celebrates Macedonian culture and hospitality no matter what your ethnicity. The Festival is a major fund raising event for the community. The Founding Fathers of our church, Sts. Cyril & Methody Macedonian Orthodox Church, Blasdell, New York U.S.A.